Many of us come to our mats through asana, the physical practice. This was the way Heather came to find yoga, and after her first class, she knew there was something more to this whole yoga thing. After years of practice, yoga took on a new form and she strives to live out her yoga in her daily life. Yoga continually teaches her to slow down, take a breath, and come back to her center. Her interests lie in learning about and teaching others how to make yoga a practice where true transformation can occur. This learning can happen on or off the mat. Whether it's an exhilarating sequence or a meaningful conversation, the more we can learn to connect, the more joyful our lives will be. Heather is the owner and director of Muddy Waters Yoga. She teaches group classes, private therapeutic sessions, and workshops. In her classes, expect a blend of dynamic movement and a strong connection to the breath. She is currently working towards her 500 hour Yoga Medicine training. Kärin found yoga and her whole being began to shine. She began her own yoga practice not too long ago and instantly knew the infinite opportunities to understand the world and herself.This brought her to the Heart Work Teacher Training that took place right here in our beautiful studio. She is a RYT200 and certified barre teacher. She gives each student their own freedom to take the time to connect with their inner soul, notice their stillness and movements, and guides them through their frustrations to allow their own emotions to slowly trickle outward. Self-Study and learning to love every moment given to you, is what Kärin shares on and off the mat. Kärin’s yoga practice is truly a picture of Yin and Yang. There is an energy to be found within each class There is a peacefulness to own and accept. Come experience these two beautiful worlds and always know that you will be greeted with a bright smile and a warm heart. Alanna grew up in a northwest suburb of Chicago and stayed active with Irish dancing, gymnastics and being an all-around pool rat with her three younger brothers. Besides "playing school" and teaching her brothers, she began coaching gymnastics at 16 and teaching swim lessons at 17. She came to Winona in 1999 and has earned teaching degrees from Winona State and St. Mary's Universities. She began practicing yoga at the Winona Yoga Center in 2003 and continues to take classes today. 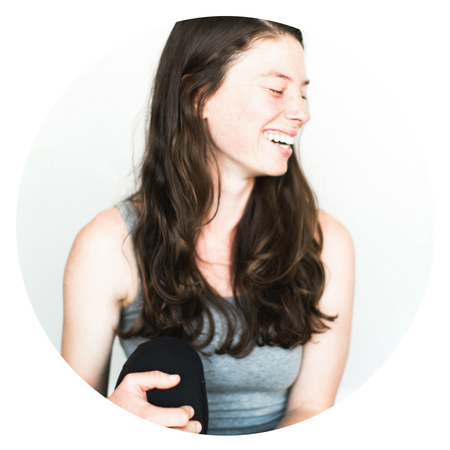 Alanna is a Registered Yoga Teacher and has been guiding others in yoga for the past eight years. Yoga helps her to balance a busy schedule, and she appreciates the strict alignment cues from the Iyengar method of yoga. Her husband, Jeremiah, is from Winona, and they enjoy watching their son Waylon growing into an active boy. Alanna teaches our Muddy Feet classes. Marie received her 200-hour Yoga Teacher Training at Devanadi School of Yoga and Wellness in Minneapolis, MN in 2016. Her yoga practice began in 2008 to complement the physical demands of her collegiate hockey career. She found strength in her body and mind from practicing yoga that she didn't know was possible. Yoga has changed Marie's life by teaching her how to breathe on and off the mat. 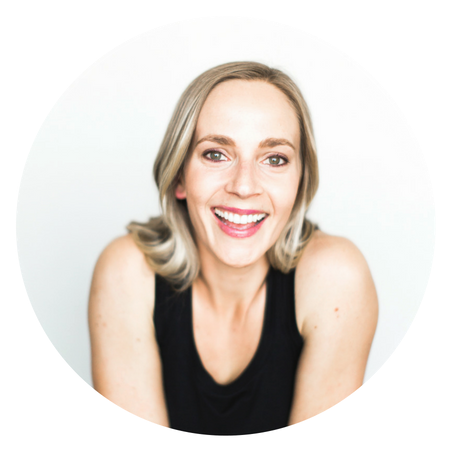 As an instructor, she empowers you to find breath, movement and mindfulness to create a healthier you. Marie lives in Wabasha, MN with her husband, Isaac, new puppy Jax and energetic cats Yoda and Zigi. When not practicing yoga, Marie can usually be found with friends and family enjoying activities of the seasons. She loves staying active outdoors, traveling to new places and connecting with those around her. Genevieve Folkedahl is a sarcastic, grounded individual filled with wanderlust. Her classes are full of energy, and will help you find your edge and go beyond. She loves exploring, practicing yoga, hiking with her husband and dogs, and jamming out to Tom Petty. Genevieve received her 200RYT from TruFusion in Las Vegas, Nevada, and attended college at the University of Wisconsin-Madison. She has found that you can turn to yoga at the best of times and the worst. Through it all, the practice helps you grow and become a better version of yourself. Yoga creates a space where everyone is safe. Genevieve walked into a yoga studio for the first time purely for physical reasons, in a search for health and fitness. She wanted to expel the cold from her bones during a rainy winter in Galway, Ireland, and she wanted to lose weight. What she didn’t know is that yoga would change her life forever—not from the outside, but from within. Through yoga, Genevieve has found peace and happiness. Come sweat, laugh and move with Genevieve. And know that whatever brings you through the door, you are loved and you are enough—exactly the way you are. Alexa’s path to yoga began as a freshman in high school where she started taking classes in place of traditional PE. What began as an attempt to get out of playing dodgeball quickly transformed into a nearly decade long passion for Alexa. Yoga provided her the perfect opportunity to find balance and tranquility in her life, both on and off the mat. Whether it’s her focus on breath work or her beliefs in the yogic philosophies, Alexa has felt transformed by her practice. Alexa is a Minnesota transplant, having moved recently to Winona from her home in California. She studied Religion and Global Studies at the University of Southern California, Santa Barbara, and spent a year after college volunteering with AmeriCorps National Civilian Community Corps. 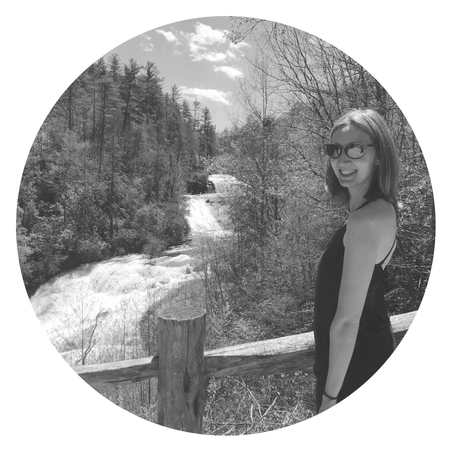 When not teaching, Alexa loves to spend her time outdoors rock climbing, hiking, or backpacking. She loves the outdoors so much, she even spent five months in the summer of 2017 walking from Mexico to Canada via the Pacific Crest Trail. She attributes her ability to do this to a strong commitment to yoga- a practice that helped her work through both the physical and mental challenges of long distance hiking. Alexa is a certified yoga teacher in Hatha Yoga and SomaYoga therapy. Using a blend of classic asana and somatics, Alexa works with students to turn inward through breath and focus on the movements of their muscles in order to release tension. She’s passionate about this style of yoga and hopes she can help others gain freedom of movement and work through unnecessary pain. 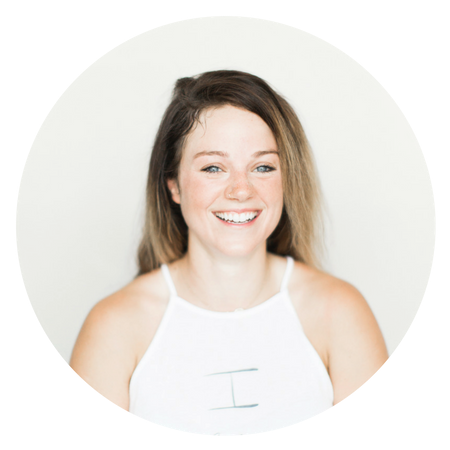 Mollee believes the lessons learned on the mat can help us live more empowered, connected and joyful lives -- becoming lighter, brighter and more present in the way we show up for ourselves and for one another. In nearly two decades of practice, Mollee has experienced the remarkable healing power of yoga, and designs her classes to be a space that supports connecting to and healing ourselves. Ever the student, Mollee continues to expand and deepen her practice, and loves to share new tools and approaches with those who attend her classes, workshops and one-on-one private sessions. 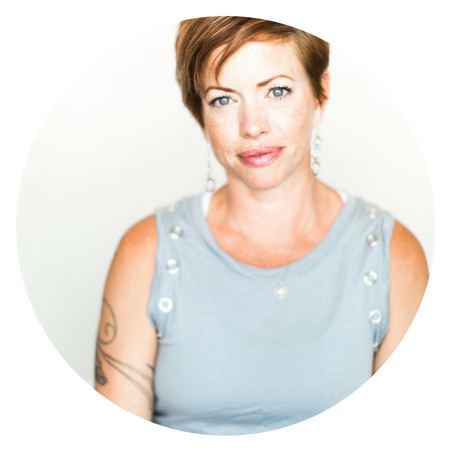 Mollee’s trainings include YogaFit Level I and II, YogaFit Seniors, 230-hour Yoga Alliance Teacher Training through Yoga Center Minneapolis, and Trauma-Informed Yoga certification through Street Yoga of Seattle, WA. Recent trainings, workshops and intensives: Chakra Yoga with Rolf Gates, Yoga Nidra with Indu Arora, Eden Energy Medicine Level I, Trauma-Sensitive Yoga with David Emerson, and Kundalini with Tommy Rosen & Kia Miller. Up next: Bhakti-Shakti 30-hour training in spring of 2018, and 500-hour Yoga Therapy certification beginning in October 2018. Rachel has practiced yoga for over 15 years and received her 200RYT from Muddy Waters Yoga Studio and is also certified in Trauma Sensitive Yoga. She fell in love with yoga in high school and continued to deepen her practice over the years. For her, yoga is more than exercise- something special happens when you step onto your mat, when you move with intention and with your breath. She loves to teach classes as moving meditations. She uses yoga to quiet her mind, to connect to the present moment and to build strength and flexibility. For Rachel, yoga is about healing and growing in a safe and non harming way and about taking what she learns on the mat- out into the world. When she isn’t teaching yoga, she loves to travel with her husband and three daughters and spend as much time outside as possible.